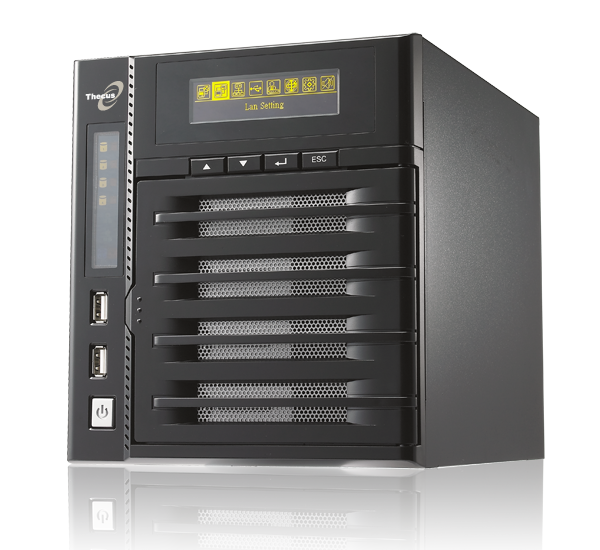 Two heads are better than one, which is why the N4200's dual core Intel® CPU can deliver increased system response and handle multiple clients quickly and efficiently. Enjoy the performance and power of the N4200 with Intel Inside. A Disk On Module (DOM) contains all of the system's critical software. If it stops working for any reason, your system firmware could be inaccessible - or worse. 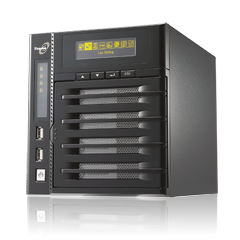 With the N4200's Dual DOM Design, a secondary DOM automatically reprograms the primary DOM if it fails, meaning your data is always safe and accessible. Featuring two separate displays, the N4200 is incredibly friendly to use. 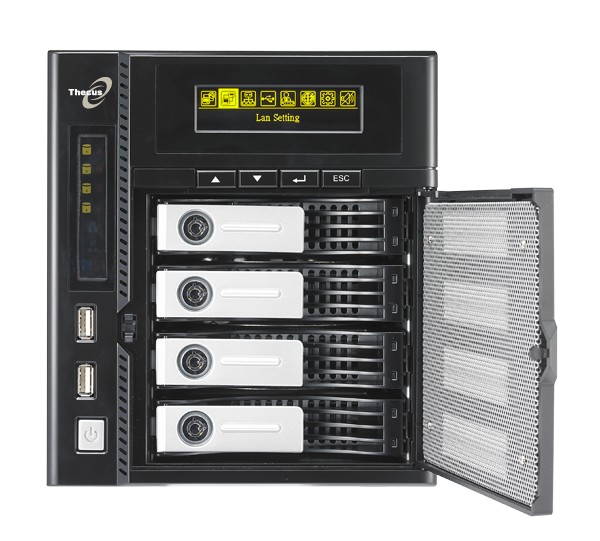 The LCD displays critical system information, including hard disk and network status, while the OLED allows you to change a number of different system settings, such as WAN, LAN, Link Aggregation, languages and more. Sudden power failures can spell trouble for your data. 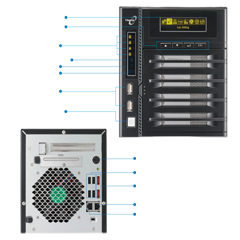 If the power goes out during a firmware upgrade, your entire system could be at risk. 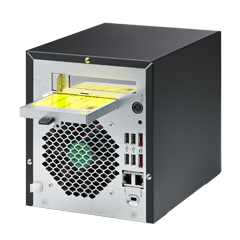 Enter the N4200's Battery Backup Module (BBM). With the equipped lithium-ion BBM, all unwritten data is automatically saved into hard disks, ensuring both data and system integrity at all times. 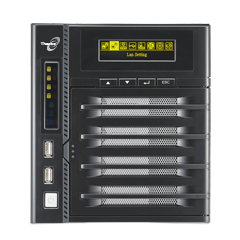 The N4200 features Thecus' unique combo SATA hard disk bays, which can accommodate both 2.5" and 3.5" SATA hard disks! 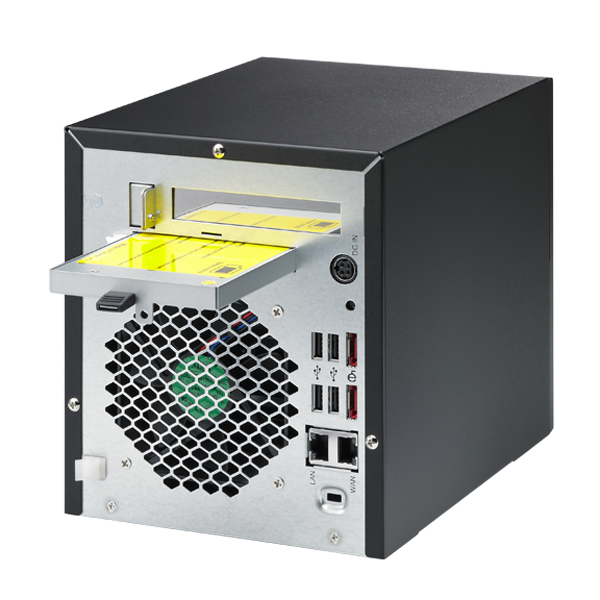 Choose 2.5" drives for lower power consumption and quieter operation, or 3.5" drives for extra capacity and performance. With the N4200, the choice is yours. 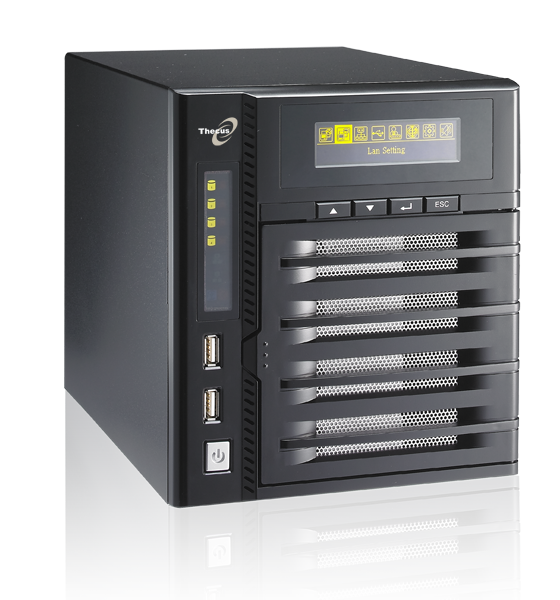 The N4200 was designed to enable users to access their data both quickly and easily. 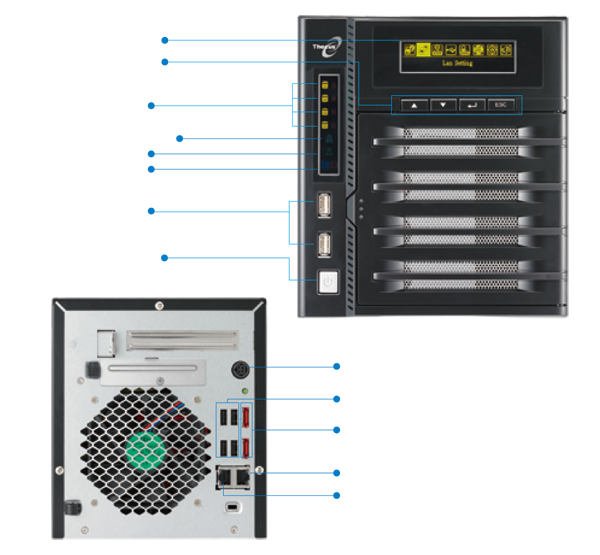 It begins with the new Intel® Atom™ dual-core processor D510, which runs at 1.66GHz and, in combination with 1GB of DDR2 memory, delivers both blistering data transfer speeds and increased system response. 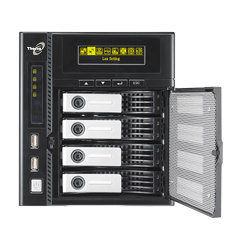 Users can easy manage their unit with the N4200's dual displays. The LCD offers a wealth of system information, including hard disk and network status, while the big and bright 2.8” OLED display allows users to modify a number of settings directly on the device including WAN, LAN, Link Aggregation, languages and more, making the N4200 the friendliest Thecus® NAS ever. 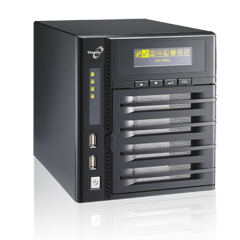 Web-based server management Interface Supports English, Traditional Chinese, Simplified Chinese, Japanese, Korean, French, German, Italian, Spanish, , Russian and Polish.